Many players have difficulty with the storage of resources. 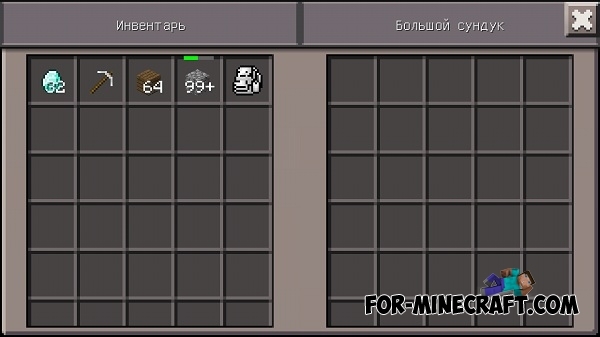 If before you needed to constantly create chests which quickly filled with things but now you can create backpacks which will accommodate a even more items and you can carry them with you. 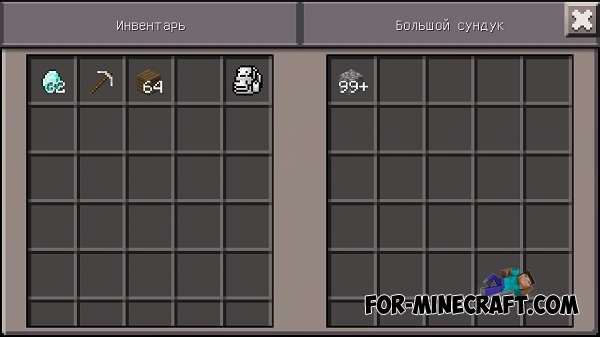 The mod adds to the game 33 backpacks which are divided into two types: normal and large. They differ mostly just flowers. How to use a backpack? I made a big backpack. Now, let's put things in it. To do this, you need to tap on the ground and will open the backpack interface. Well, now just move unnecessary items in the backpack. At any time you can open the backpack and pull things out of it, or put other. Bug: Enchanted items lose their enchantments if you put them in a backpack. Select the "Texture Pack" section and click on the "Import"
Select «ModPE script» section and click on the "Add"
The mod is installed, an enjoyable game! Sea of Flowers seed for MCPEAre you looking for floral landscape in Minecraft?